Researchers have determined it costs $2.2 billion every year to treat antibiotic-resistant infections. For the study, published in Health Affairs, researchers from Emory University and Saint Louis University first examined data from the Medical Expenditure Panel Survey, a set of large-scale surveys conducted by the Agency for Healthcare Research and Quality (AHRQ) of families and individuals, their medical providers and employers across the United States. With this information, they estimated the incremental costs of treating a resistant infection and the total national costs of treatment. The researchers found that antibiotic resistance added nearly $1,400 to the cost of treating a patient with a bacterial infection. Using 2014 data on the number of infections, they determined the average annual cost. 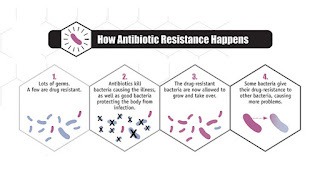 The percentage of antibiotic-resistant bacterial infections in the United States more than doubled over 13 years (from 5.2% in 2002 to 11% in 2014). There are nearly 14 million bacterial infections per year in the United States. The South was the region with the highest share of bacterial infections. The Northeast had the lowest share. Patients with antibiotic-resistant infections were more likely to be female and have multiple comorbidities. Average healthcare spending for patients with antibiotic-resistant infections was 165% higher than it was for patients with non-resistant infections. Antimicrobial stewardship remains in the spotlight. Some significant developments over the past few years include The Joint Commission's release of an antimicrobial stewardship standard, the Centers for Disease Control and Prevention's (CDC) issuing of an urgent recommendation for nursing homes to improve antibiotic use, a study showing the rise of antibiotic-resistant infections in children and a World Health Organization (WHO) report indicating a growing challenge concerning lack of antibiotics to help combat the threat of antimicrobial resistance. Note: If your organization requires assistance with developing or improving an antimicrobial stewardship program, contact the experts at Infection Control Consulting Services.